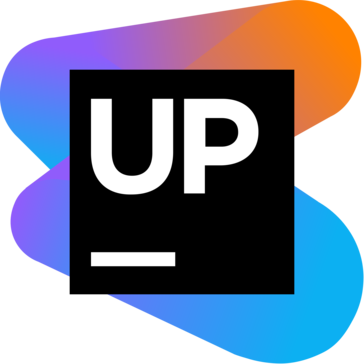 JetBrains Upsource is a code review and a team collaboration project analytics tool. "Easy to way to review code"
I like how easy it is to track changes and comments as well as resolving them. The tree structure of all changed files is pretty neat, as well as line comments. The statistics and badges are a good way to encourage users as well.The news feed is amazing to get a quick glimpse of the latest activity on your review/things you're reviewing. The browser and email notifications work great. The UI is not the most intuitive at first - many of my colleagues have created reviews on commits instead of the whole branch. But with regular use, it becomes better. Not much else to complain about really. We are solving the problem of not outputting buggy code and having less bug fixes. "Great little tool for reviewing code"
Upsource makes it really easy to keep track of projects by providing an overview which makes it real easy review. There's not much to dislike about this solution. It's kind of a once stop shop to code and to review code. What Peer Code Review solution do you use? Phabricator is a complete set of tools for developing software. Included apps help you manage tasks and sprints, review code, host git, svn, or mercurial repositories, build with continuous integration, review designs, discuss in internal chat channels, and much more. It's fast, scalable, and fully open source. Install it locally with no limitations, or have us host it for you. Gerrit provides web based code review and repository management for the Git version control system. Collaborator is a code review tool that helps development, testing and management teams work together to produce high quality code. Klocwork brings social collaboration to solving coding issues, combining skillsets and sharing this learning across teams. Make code review process more efficient. Deliver high quality code without reducing the teams' throughput. Enforce quality policies through our business rules engine. Articulate QA, release and development teams. Review Board is a powerful web-based code review tool that offers developers an easy way to handle code reviews. Gamma is an intelligent software analytics platform that enables enterprises to monitor, manage and improve their software quality. * We monitor all Upsource reviews to prevent fraudulent reviews and keep review quality high. We do not post reviews by company employees or direct competitors. Validated reviews require the user to submit a screenshot of the product containing their user ID, in order to verify a user is an actual user of the product. Hi there! Are you looking to implement a solution like Upsource?